No doubles — maybe Sunday? And should we skip the other stuff and just concentrate on the Kraft promo? Without doubles, there’s nothing really blog-worthy. Limit one rebate per address/household. Allow 6-8 weeks for your rebate check. From what I’ve read, the $25 is before coupons, so this deal will be a moneymaker. If you’re a gambler, you can wait until Sunday on the off-chance that Albertsons will release doubles, making this promo even more fun. 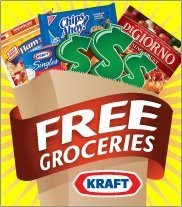 Be sure to also check your coupon stash for coupons you printed during the Kraft IP coupon frenzy in the spring. Some of the coupons expire 8/31. Anon-I did this deal earlier in the week and my cat and rebate slip printed even when I had zero out of pocket. I would go to a different Albies if they are going to give you a hard time. I called my Albertson's store to double check if the $25 was before or after coupons and the lady I was talking to said it was before, but went to double check for me. When she came back on the phone, she said that you couldn't use coupons, you had to pay full price. Has anyone ever heard of this? It seems strange to me. Thanks Michelle – I thought that was the "offical kraft list" on their website. I'll just go off of that one then. No biggie – there was just stuff I wanted that Albertsons was advertising. They have the A-1 on display with the rest of the items that will work. Also there is a coupon on a tearpad if you buy A-1 you will receive 1.00 off of some meat. Check out this link regarding the Albetson's list vs Kraft list http://www.krazycouponlady.blogspot.com/ It might help clear it up. I know – and I wanted A1 and velveeta cheese, that's why I'm asking. Has anyone gotten these? I still have a $2 A1 coupon I want to use. The only items I did not see on the Kraft shopping list was the A1 and the Velveeta cheese. I think these will still work because they are in the Albertson's photo. I also don't see the grated Parmesan. Everyone else looks the same. Left this comment on the wrong post. Oops. And this just worked with the pre-coupon price at the Albies on Barnes. A blinkie coupon is a manufacturer coupon, so you can't double those up. It is definately 25.00 before coupons. I did it this morning. Velveeta shells and cheese cups were ringing up at 1.29 on Sunnyside, but they fixed the problem right away. Also, there are coupons on tearpads for various products. I had an issue when I tried using a blinkie coupon and a manufactured coupon. The checker would not let me do it. Is it still ok to do that or not? Just came from Wilsonville Albertson;s. MY CATALINA DID NOT PRINT. MY REBATE FORM DID NOT PRINT! I spoke to the manager and he said it had to be $25 AFTER coupons. Aaargh………………I asked him to show me where it said that ~ he could not but would not help me either. Very bad for business. don't know where else to post this but I'm hoping the "lady" that did this will read it, so here goes. Someone bought up all the Lebanon Express papers in town today, as soon as the paper came out. This is one of the few small town papers left, and with coupons. PLEASE, this is not only rude, this does not help this paper stay in business. It is rumored that a lady is buying them to sell the coupons on the internet, this gives the rest of us that use coupons a bad name. So my OOP was only $0.41!!! Then the $5 catalina printed and also the rebate form! Now I will submit my rebate and get $20 back! Pretty sweet! Sorry, the Velveeta cats will print between 8/14 and 9/7. It looks like only one cat per transaction. Must buy 2 or more. The Velveeta Shells cat won't print until the 17th or 18th. Also make sure the prices are ringing up right. The shells were not ringing right at 122nd and Division but the checker was very nice and made everything better for me! If I use a BOGO on velveeta cups, do both ($2) count towards the $25 total, or just $1? Thanks! starbucks ice cream coupon was in the Oregonian. If you go to the Albertson's website you can look at their weekly ad online. I'm sure you could even print it out. Either I threw away a whole part of the 7/26 SS insert, or I didn't recieve it because I clip my coupons and file them and I dont have any of the listed 7/26 ss coupons! What a bummer! I don't need any of this stuff so I'll wait and see if there are doublers this weekend. If there are, I'll do a deal or two just for fun. I am using my $15 cat left over from last week. Is anyone going to use their leftover cats from last weeks deal? Everything should still work to make this a real money maker, right? Is this $25 before or after coupons?